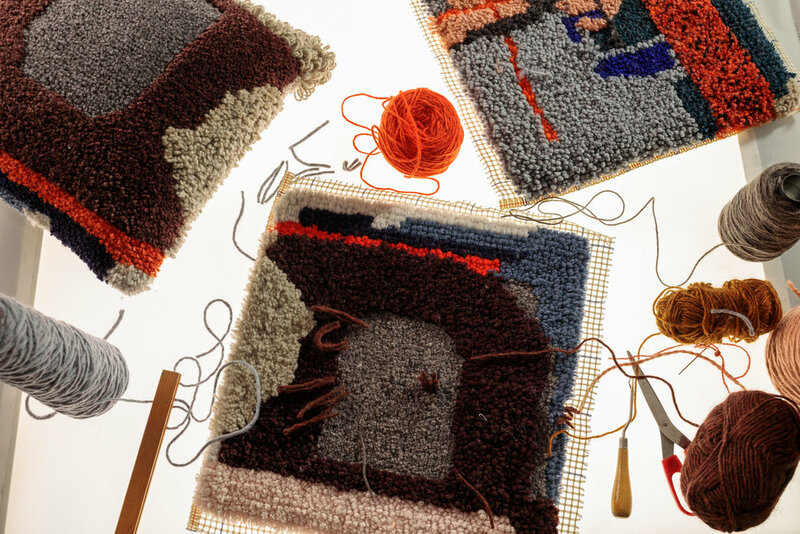 Continuing the exploration into the construction of cloth, SUPER TEXTURE dives deep into the weave, the knits, and the knots, adding color and extra texture to the SOFT and BOUCLE ranges. 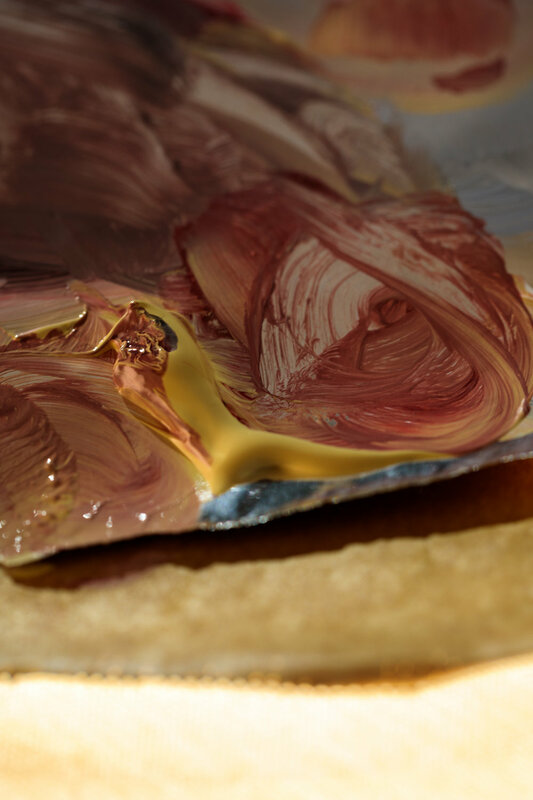 This January Tom Dixon delves deeper into SUPER TEXTURE – the name given to the first-ever collection of textiles, and the the optimum vessel in room scents. Burgeoning adventures begin in print, in embroidery and in the hand tufting and looping of wool with young emerging talent to produce new families: ABSTRACT, PAINT and GEO. 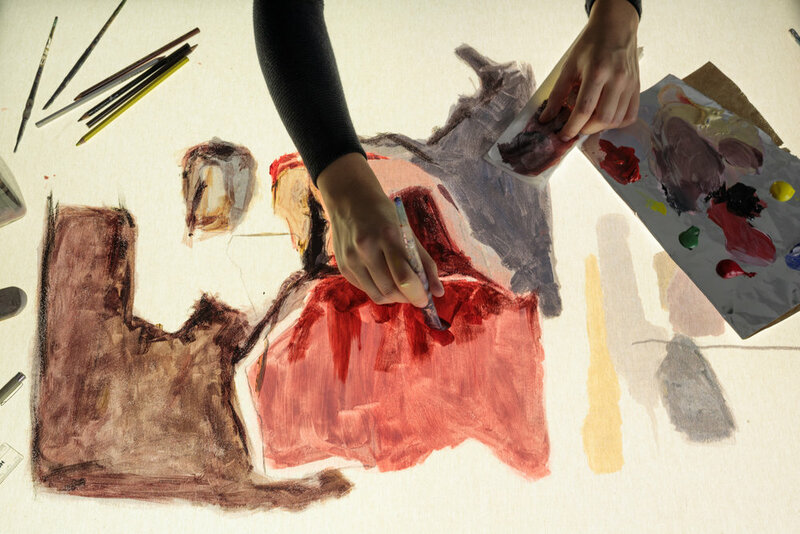 Three new colors are added to the existing range – Khaki, Wine and Electric Blue for a reinvigorated exercise in color stacking. 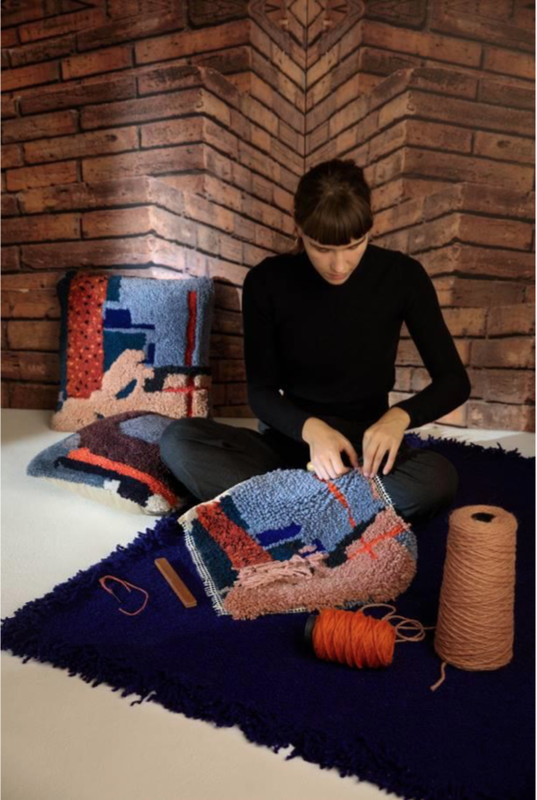 ABSTRACT is the name given to a pair of cushions made using techniques from the rug and carpet industries. Thick, wooly, harder wearing and generally more substantial than most cushions, these are hand tufted in Varanasi, Northern India by extraordinarily skilled craftsmen.Details of a cityscape watercolor from textile artist Josephine Ortega were blown up in scale and separated on graph paper to create a grid a technique familiar in tapestry pattern, but supersized for this project. A collection of abstracted architectural watercolors based on scenes of British urbanism. Urban perspective sketches and Hippy Wall hangings of the seventies were the initial inspiration for the variety of textures and blocks of saturated colors that come through in ABSTRACT. The loops, tufts and the variety of pile heights accentuate the hand-crafted nature of these cushions impossible to create by machine. Made from 100% New Zealand wool, backed with natural linen and generously filled with Danish duck feathers outstanding materiality and a human touch. PAINT is a set of cushions with a subtle painterly print of abstracted urban landscapes rendered onto a super soft canvas. A set of abstracted architectural watercolors based on scenes of British urbanism was also created by Josephine Ortega. The pigment of pinks and indigo were then ink jet printed onto a textured canvas of off-white linen to form stackable landscapes. Woven from natural linen mixed with lightweight viscose for a soft and natural feel, PAINT is digitally printed, sewn, stuffed and finished in Britain. 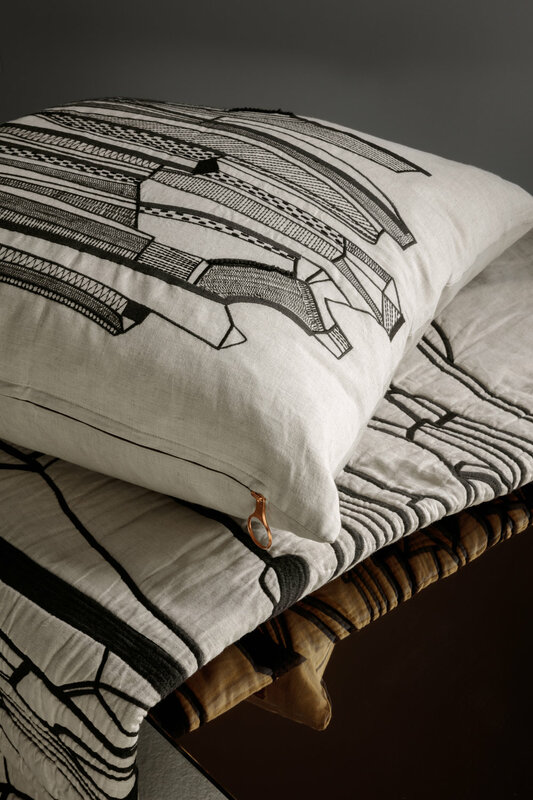 Celebrating the decorative qualities of natural phenomenon in bold embroidered strokes, GEO is the no-fuss monochromatic that packs a graphic punch.Embroidered graphic illustrations inspired by the natural geologies of rock formations and layered sediment, GEO is restrained yet expressive pattern making across two cushions and a double-sided throw. 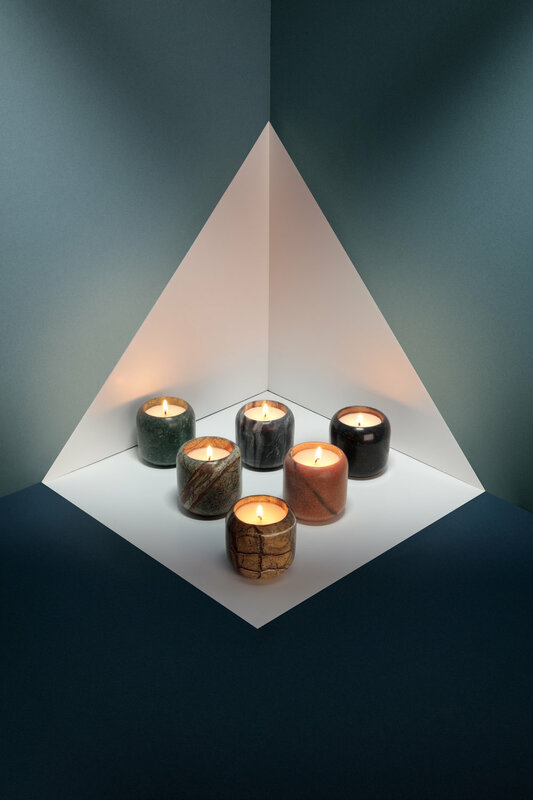 This heavyweight giftset of six STONE candles imagined in a triangular showcase is a color spectrum of exotic marbles. Turned on lathes by skilled engineers in India each rocky, rounded heavyweight container is unique due to the particularities of the individual block of marble. This forms the optimum vessel for the dry exotic fig and sandalwood essence of the Stone scent collection.